REVIEW~ This book is not for the faint hearted and is also easily misinterpreted. When reading it is important to research words and phrases you have not herd before and be sure you understand them fully. failing to do so could cause you to look evil and unfaltering to people around and that is not the aim of this book. Like the title suggest it is aimed at giving one power over the people they are surrounded by. Drawn from 3,000 years of the history of power, this is the definitive guide to help readers achieve for themselves what Queen Elizabeth I, Henry Kissinger, Louis XIV and Machiavelli learnt the hard way. Law 1: Never outshine the master Law 2: Never put too much trust in friends; learn how to use enemies Law 3: Conceal your intentions Law 4: Always say less than necessary. The text is bold and elegant, laid out in black and red throughout and replete with fables and unique word sculptures. 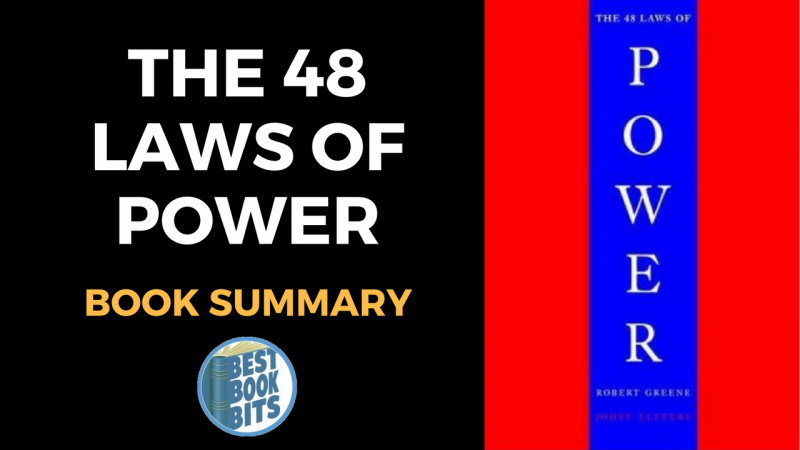 The 48 laws are illustrated through the tactics, triumphs and failures of great figures from the past who have wielded – or been victimised by – power. The first 10 laws of power Law 1 Never Outshine the Master Always make those above you feel comfortably superior. In your desire to please or impress them, do not go too far in displaying your talents or you might accomplish the opposite – inspire fear and insecurity. Make your masters appear more brilliant than they are and you will attain the heights of power. Law 2 Never put too Much Trust in Friends, Learn how to use Enemies Be wary of friends-they will betray you more quickly, for they are easily aroused to envy. They also become spoiled and tyrannical. But hire a former enemy and he will be more loyal than a friend, because he has more to prove. In fact, you have more to fear from friends than from enemies. If you have no enemies, find a way to make them. Law 3 Conceal your Intentions Keep people off-balance and in the dark by never revealing the purpose behind your actions. If they have no clue what you are up to, they cannot prepare a defence. Guide them far enough down the wrong path, envelope them in enough smoke, and by the time they realize your intentions, it will be too late. Law 4 Always Say Less than Necessary When you are trying to impress people with words, the more you say, the more common you appear, and the less in control. Even if you are saying something banal, it will seem original if you make it vague, open-ended, and sphinxlike. Powerful people impress and intimidate by saying less. The more you say, the more likely you are to say something foolish. Law 5 So Much Depends on Reputation – Guard it with your Life Reputation is the cornerstone of power. Through reputation alone you can intimidate.